Spring offers the most beautifully lush flowers. 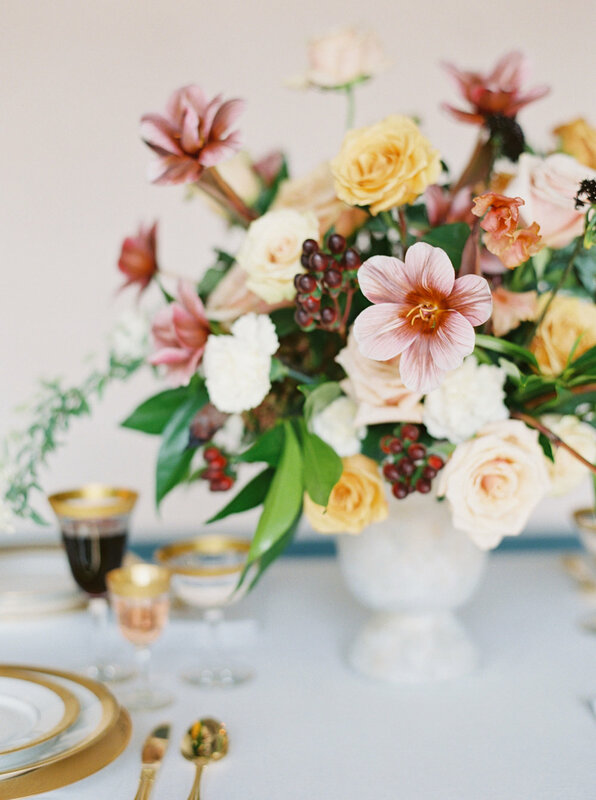 This spring wedding inspiration fully embodies the rich colors and lush fullness of spring floral. Filled with tangerine orange sweet peas, gold garden roses, the most delicately intricate dutch tulips and Japanese spirea, this bouquet is spring, in all it’s glory! Accompanied by a centerpiece overflowing with beauty, the rich colors in this bouquet are the perfect reassurance that bold colors are a must for your spring wedding. 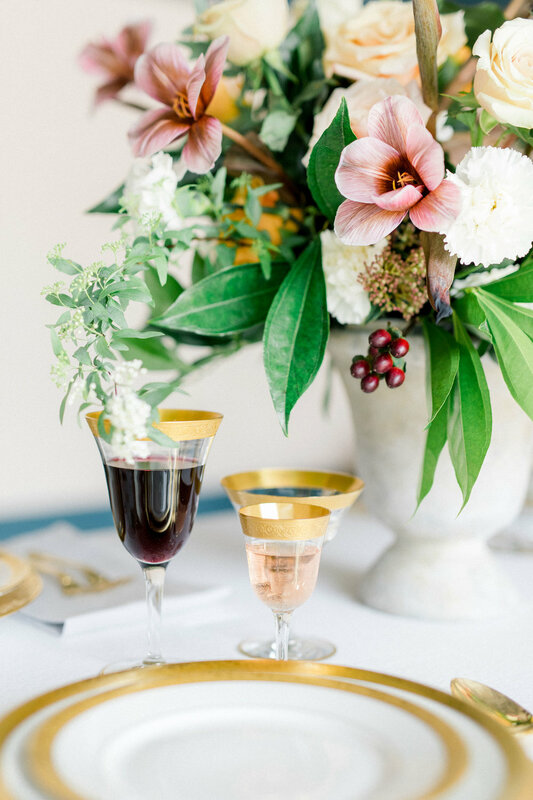 These blooms are accented by italian gold table settings and handwritten paper goods, creating a light and airy wedding design.